We have introduced a unified view for Proactive detection in Visual Studio Application Insights. Application Insights automatically analyzes your metrics and provides notifications without you having to set them up; alerts on abnormal rise in failed request rate and Azure cloud service issues let you know as soon as issues happen. It also performs a deeper analysis on a daily timescale to discover anomalies that might indicate issues with particular pages, browsers, server instances, geographical areas or other parameters. We’ve brought together the user experiences of these features to make them easier to view. We have also unified the format for all mail notifications. They include basic information about the detection and a link to the portal for more information and for further investigation. 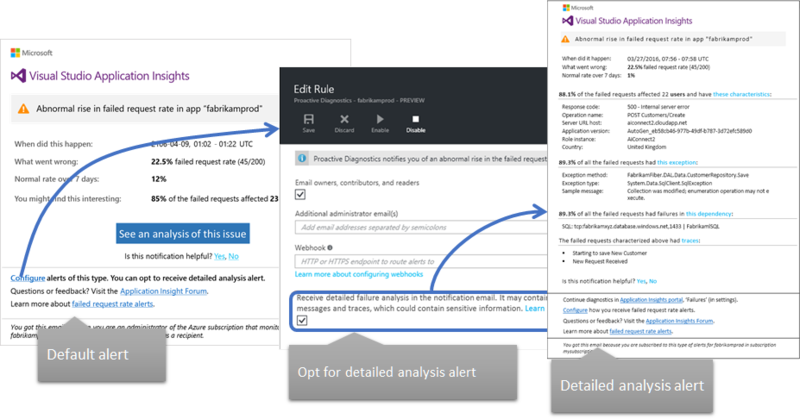 How do I receive detailed analysis in the email alert? 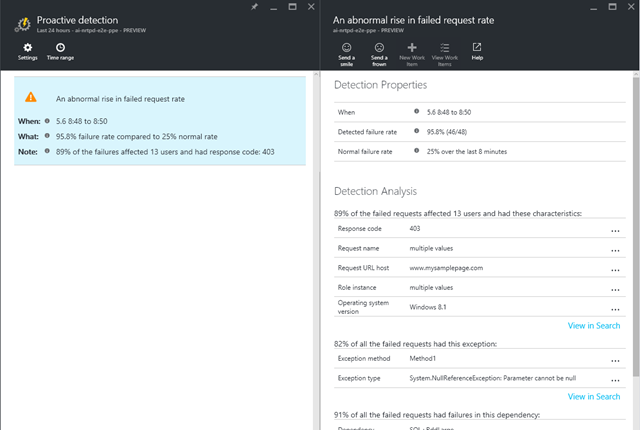 By default, the email notification for abnormal rise in failed request rate contains just a short summary of the alert. To get the full details, you click the button to open the alert in the portal. One reason for doing it this way is to avoid any risk of including sensitive information in the email that might, for example, be included in exception messages or traces. Balanced against that is the convenience of seeing all of the diagnostic data right there in the email; very often, it’s possible to identify the issue just by looking at these details. 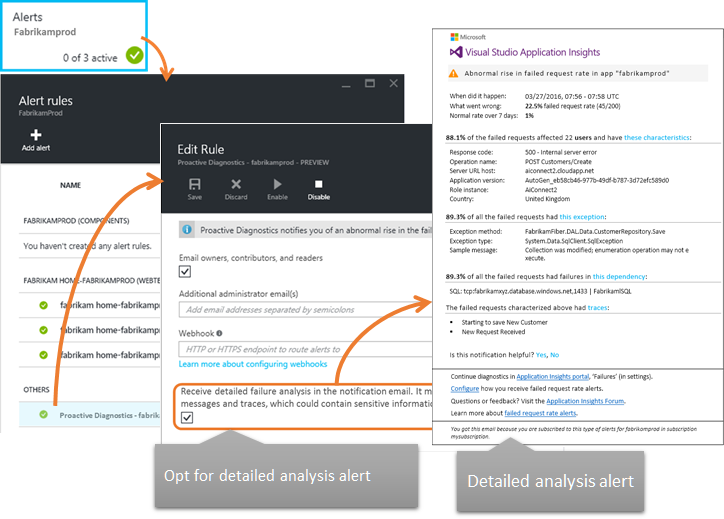 Alternatively, start from the Alerts tile in the Applications Insights portal. Open the Proactive Diagnostics rule, select the checkbox and save.